Squeezed between Sulu Sea and the steep escarpment of Bukit Berenda (Trig Hill), Sandakan dominates the mouth of Sandakan Bay on the north coast of Sabah. For centuries, Sandakan was a centre of commerce, as traders sailed tall ships into her ports in search of exotic and expensive commodities from deep in the jungles of Borneo. Bombed to bits during World War II, the former capital of North Borneo has never quite regained her past glory. Reconstructed in a grid pattern of characterless concrete, Sandakan can seem charmless on first impression, and downright desolate at night, but it has a somewhat daggy appeal and more to offer as the gateway to Sabah’s best ecotourism destinations. Just over a 30-minute drive from the centre of Sandakan, Sepilok is home to a hat-trick of excellent attractions, with Sepilok Orangutang Rehabilitation Centre possibly the best known attraction in all of Sabah. Next door, you can view more adorable rescued wildlife at the Borneo Sunbear Conservation Centre, where tree-climbing honey bears hangout. If you hear a strange trumpeting noise while you are in either sanctuary, don’t worry, it will be one of several baby orphaned elephants being cared for. The project is not open to the public as yet, but may be in the future. Just down the road, the Rainforest Discovery Centre will be well worth your time. It offers a tremendous network of jungle trails and a magnificent canopy walk, which provides bucket loads of birdwatching opportunities; they offer a magical night walk, too. Labuk Bay Proboscis Monkey Sanctuary is in the vicinity and can be visited on a combo-day trip to Sepilok. Here you can meet the Cyrano de Bergerac of the monkey world, the big-nosed proboscis monkey. Off the coast of Sandakan, on a handful of tiny specks in the sea, nesting turtles appear almost every night of the year to lay a clutch of eggs on the very island they were born. You can watch this laborious process and be a turtle midwife at Turtle Islands Marine Park. For more wildlife adventure, head to the Kinabatangan River’s wildlife corridor for river cruises, jungle walks and more creatures to count than you have fingers and toes. On the way, stop by the majestic Gomantong Cave, hold your nose, and see how edible birds’ nests are harvested. The centre of Sandakan town is not without its sights too, all mostly walking distance to each other, plus some a short taxi ride away. Sandakan played an important role during World War II, when many Australian and British servicemen were interred by the Japanese at the notorious Sandakan POW camp, then marched to Ranau, some 265 kilometres through muddy jungle terrain that resulted in one of the greatest losses of Allied lives in the war. Sandakan Memorial Park, the site of the former camp, pays tribute to this tragic loss. American Agnes Keith was one of the survivors of the conflict; she went on to write an account of her ordeal and her house is now a museum, Agnes Keith House. Continue your local history lesson of the sights around town by following the Sandakan Heritage Trail. For sweeping views of the bay, and some local colour, head to Chinese Buddhist Puu Jih Shih Temple, atmospheric as the sun sets when the faithful perform their liturgical chants. Closer to town, on the rooftop of Nak Hotel, Ba Lin is great for a sundowner too. Wander the boardwalks of Kampung Buli Sim Sim, a traditional village built on stilts over the sea. Stop here for the freshest and tastiest seafood around—you can often see the fishermen delivering their catch. And if dried fish is more to your taste, Sandakan Central Market is the place to be. If you’re in town on a Sunday, there’s a colourful street market, too. For a small town, Sandakan has a large number of hotels and guesthouses. You won’t be overwhelmed by their charms, but the value is not bad and even the top range won’t break the bank. If you’re just here for the apes, a bed at Sepilok is the better bet. Local restaurants abound, and the seafood is fresh. Sandakan is sometimes nicknamed Little Hong Kong, and the Chinese influence is notable in the food here too. 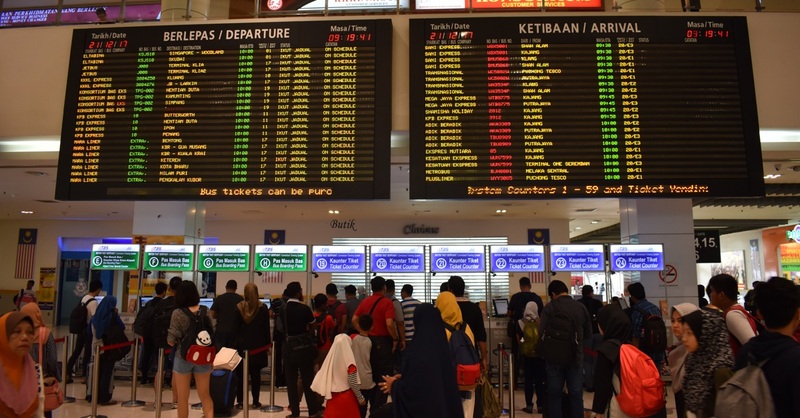 It’s easy to get in and out of Sandakan, with buses connecting to all over Sabah, although the long-distance bus station is inconveniently out of town, plus there’s a busy domestic airport. A weekly ferry runs to the southern Philippines, but there was talk of it being suspend due to security risk; it was running “maybe next week” when we checked in mid-2016. Sandakan doesn’t have the glitzy malls of Kota Kinabalu, and the one attempt is poor. If however you’re in the market for pearls, birds’ nests or dried fish, Sandakan really has you covered. A couple of souvenir shops, one at the entrance to Sandakan Central Market and one opposite Hotel Sandakan, stock a range of books on Sabah, including Agnes Keith’s trilogy, and for the kids, plush proboscis monkeys and orang utans. At Sepilok, Sepilok Orangutang Rehabilitation Centre and Borneo Sunbear Conservation Centre both have gift shops and you can “adopt” a furry baby too. You won’t get lost in Sandakan. Anything a traveller may need—guesthouses, ATMs, pharmacies and restaurants—can be found crammed into the blocks lining the waterfront. The post office is to the west of town on Jalan Leila. The police station is near the bottom of the One Hundred Steps, and for medical needs, Hospital Duchess of Kent is at KM 3.2 on Jalan Utara, T: (0892) 48600. For self catering, Santos Market is near the corner of Jalan Empat and Lebuh Empat, and Gentingmas Mall is near the minibus station. Both large local-style supermarkets have a section selling beer, wine and spirits. A more organised looking but not as well stocked supermarket is on the ground floor of the Harbour Mall.  Please sign up as a Travelfish member to download the Sandakan guide PDF (15.5 MB, 65 pages). Membership costs just A$35 per year (less than A$1 per week) and gives you access to over 250 PDF guides. Use the above map to find specific destinations in and around Sandakan which are listed on Travelfish. Bed icons indicate a guesthouse, hostel or hotel, the knife and fork is an eatery or bar and the four-way circular thingy marks sights, attractions and other points of interest. Click on any icon for a short pop-up and a direct link to the page for that spot. If you are in the area, use the teardrop icon near the top left to show your position on the map (you'll need to allow position sharing for this last feature to work).